Vtech recently sent us Learn to Write with Cody and Cora and Go! Go! Smart Wheels Busy Day in Alphabet Town, two new learning cartridges for InnoTab Learning Tablets and today we get to give them away to one of you! I am always looking for ways to teach and reinforce basic concepts and my kids are always looking for ways to have fun. 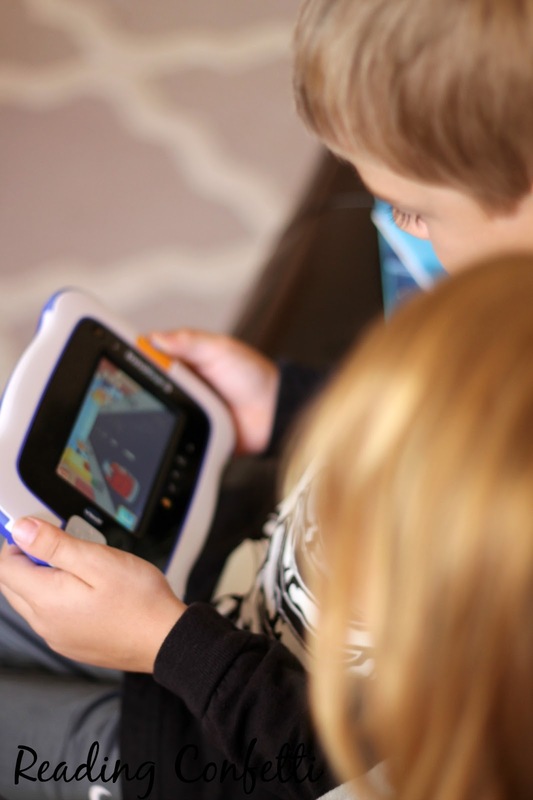 I love that Vtech offers a range of educational cartridges for InnoTab Learning Tablets to extend the play value. 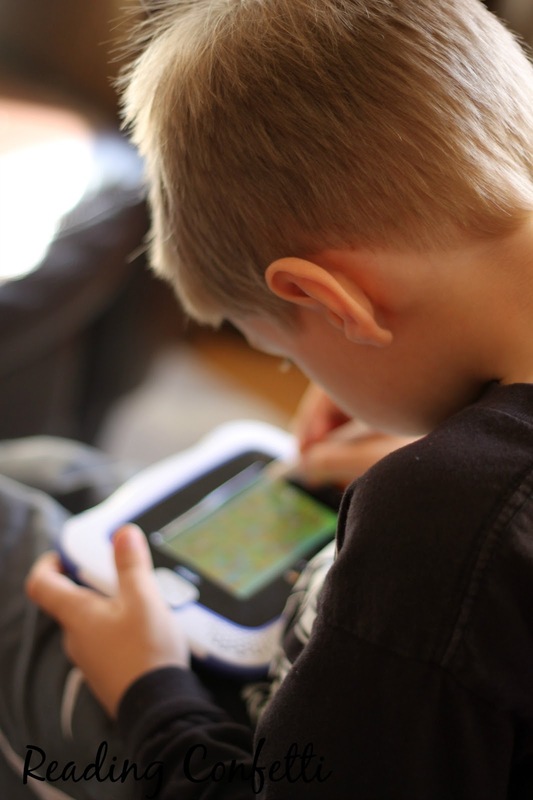 Age-appropriate games, interactive e-Books, and more allow children to progressively learn key subjects such as math, reading, and science in steady stages while inspiring their imaginations. The cartridges are compatible with all current InnoTab models and will also work with new models that will be released later this year, including the InnoTab MAX, its fastest Wi-Fi tablet yet and its first to feature Android learning content. We started with the Go! Go! Smart Wheels Busy Day in Alphabet Town, a game geared for two to five year olds featuring nine creative activities and learning games that teach letters, numbers, and more. Kids can join the residents of alphabet town while they build roads, rescue kittens, and explore alphabet town. While my kids really enjoyed the e-Book, their favorite activity is Fire Truck Rescue. My son loved the firetrucks and my daughter loved rescuing the kittens. Next we tried the Learn to Write with Cody & Cora learning cartridge geared for three to six year olds. The e-Book describes an adventure Cody and Cora take while writing and spelling words. 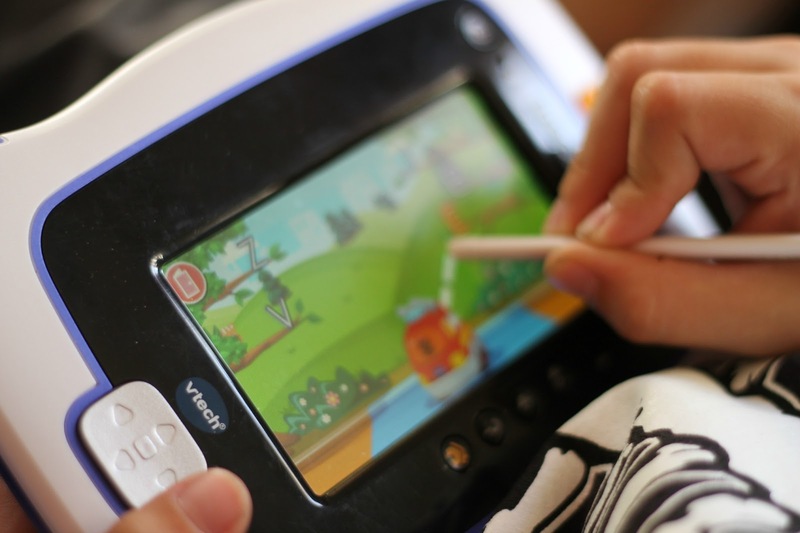 The cartridge also teaches and develops handwriting skills in a progressive manner with eleven activities and games. My kids' favorite on this cartridge is Maze Craze. 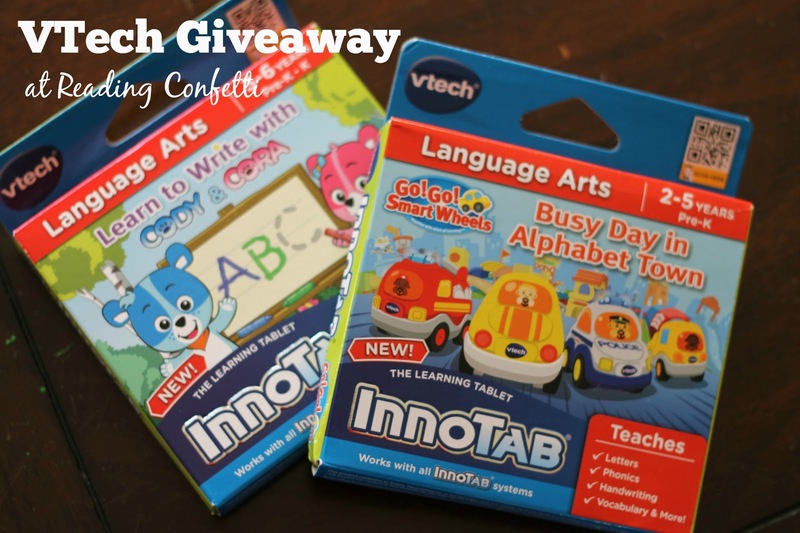 To win your own gift pack from VTech containing these two learning cartridges, enter the rafflecopter form below. Open to US only. No P.O. boxes please. The VTech product, gift card, information, and additional gift pack have been provided by VTech. Please see giveaway rules here. Thanks for entering and good luck!